Mark A. Hackmann, 60, a resident of Douglas House Apartments in Houghton passed away peacefully Thursday, April 12, 2018, at the Omega House where he had been a patient for the past month. He was born on February 27, 1958, in Marquette MI, a son of the late Allan and Viola (Liimatta) Hackmann. Mark was raised in Chassell and attended the Chassell Schools. Mark’s first job at the age of 16 was delivering commercial cleaning supplies for Chapelwood Products. He worked with his mother in her ice cream shop, Vi’s Soft-serve, maintenance for Best Western and Franklin Square Inn Hotel, and ended his career retiring from housekeeping at Portage Health Systems. Surviving are his sisters: Lynn (Fred) Ruelle of Mukwonago, WI, Debra (Robert) Bartosh, of Bismarck, ND, Patricia (Gregory) LaBeau, of Chassell MI, and Pamela (Robert) Hiltunen of Twin Lakes, MI. Special cousin, more like a brother, Kevin Hackman of Iron Moutain, MI. Twelve nieces and nephews, eighteen grand nieces and nephews and numerous cousins. The family would like to thank the staff of the Omega House for the compassionate, tender care they blessed Mark with. It is suggested memorials be made to the Omega House or Simple Kindness for Youth in memory of Mark. A memorial service for Mark will be held 3:00 pm Tuesday April 17, 2018 at the Memorial Chapel Funeral Home of Hancock, with TJ Stauffer to officiate. Friends may call on Tuesday April 17, 2018, from 11:30 am until time of services at the Memorial Chapel Funeral Home of Hancock. 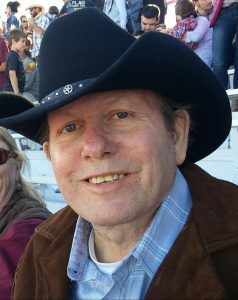 To view Mark’s obituary or to send condolences to the family please visit www.memorialchapel.net. The Memorial Chapel & Plowe Funeral Homes of Hancock are assisting the family with the arrangements.